Could this be the Android handset of the year? 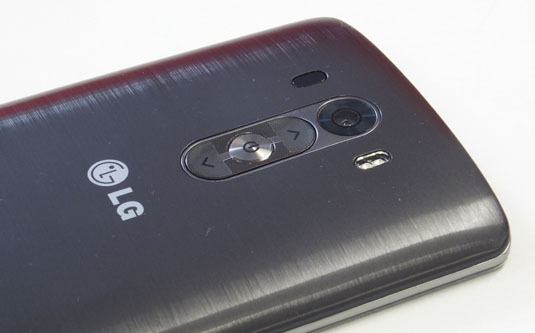 Review LG is releasing its new G3 smartphone today. It’s a large device made slim and comfortable by clever design, and is distinguished by a mind-boggling screen, and a superb camera. It’s let down only by hardware buttons, which can be a challenge to locate with accuracy, and the software execution, which hasn’t really tamed Android or added much to it. This year’s flagship from LG has been designed to put a large, stunning display in your hands. At 1440x2560-pixels, the G3 offers more detail than anything else on the market, and actually much more than the naked eye can see. The 5.5 inch display also affords plenty of room to view your games or images. However, specs don’t quite convey the excellence of LG’s design. 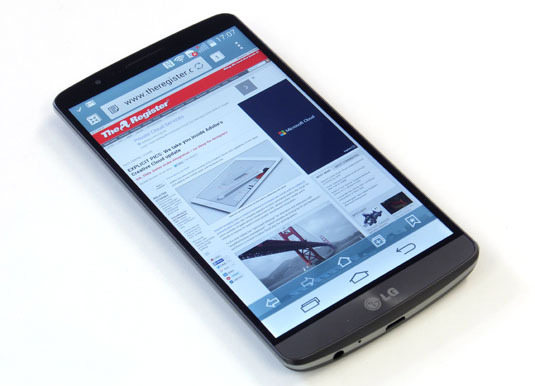 After all, the G3 should feel like an enormo-phablet – but it doesn’t at all. That’s because, as with last year’s G2, LG has removed the side and top buttons found on most modern portaphones and moved the volume and power round to the back to make a slim, smooth, tapered design with very thin (but still comfortable and curved) edges. The bezels are very thin and even the phone’s chin – sans dedicated Android buttons, as is the norm these days – is quite narrow. It’s the hardware designer's equivalent to a trompe l’oeil something that is actually big doesn’t feel so big. Now consider that the LG G3 has a removable 3000mAh battery, and also supports Qi wireless charging – a huge convenience most people haven’t tried. And it weighs just 149g, about the same as the Galaxy S5’s 145g and a shade less than the HTC One M8. For a display that trumps 6-inch tablets, this is a marvel of thoughtful miniaturisation and clever design choices. It’s achieved by eschewing metal and glass where it isn’t needed – the the removable back cover has a faux metal effect – but it doesn’t feel cheap and the trade-off is a significant one. The good design extends to some of the complementary accessories LG has produced to work with the G3. Three of these merit particular attention. 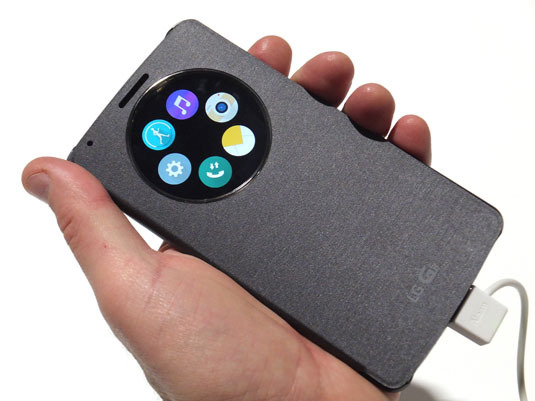 There’s a very nice windowing “QuickCircle” flip cover – which is not a new idea, but LG’s is the best implementation I’ve seen by miles; the LG Tone Infinim (HBS-900) headset with Harmon-Kardon buds, and an unusual Qi charger that folds away. The potential showstopper with the G3 is you’ll have to get accustomed to groping around the back of the phone to activate the power and volume keys. The buttons are distinguished enough, but really they and need to be a millimetre or two bigger. 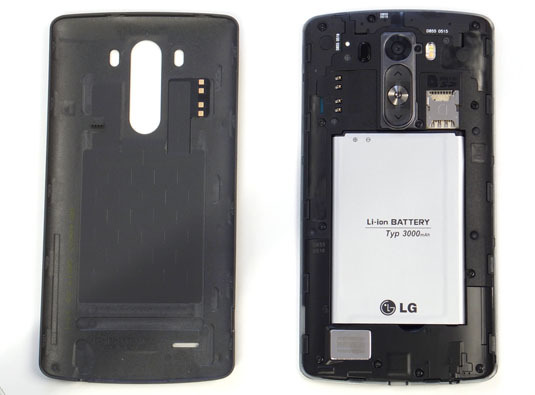 So after several days of using the LG G3, around one in seven attempts to hit the power button actually succeeds. Most of the time I hit a combination of power and one of the volume keys. If this was my long-term device I’d superglue a button from a kid’s craft kit, or a felt washer onto the power button. But this shouldn’t be necessary on state of the art consumer electronics kit. This is an issue that will confound some people but not others, but those it will confound will be well and truly annoyed.